Although we all hate to admit it, we all have found mold in our showers or on our shower curtain at least once in our life. You may wonder what are the exact conditions that mold needs to grow? Here are the 4 critical requirements mold needs to grow. What are mold spores? Mold spores are the very tiny reproductive units of mold and fungi and vary in size from 3 to 40 microns. These mold spores are everywhere, both inside buildings and outside as well and it is perfectly normal! That is why there is no true way to eliminate these. What does mold feed on? Basically any organic substance can be a food source as they contain carbon molecules. The most popular mold food in homes are wood, paper and organic fibers. Unfortunately for us humans, mold prefers the same temperatures we do! 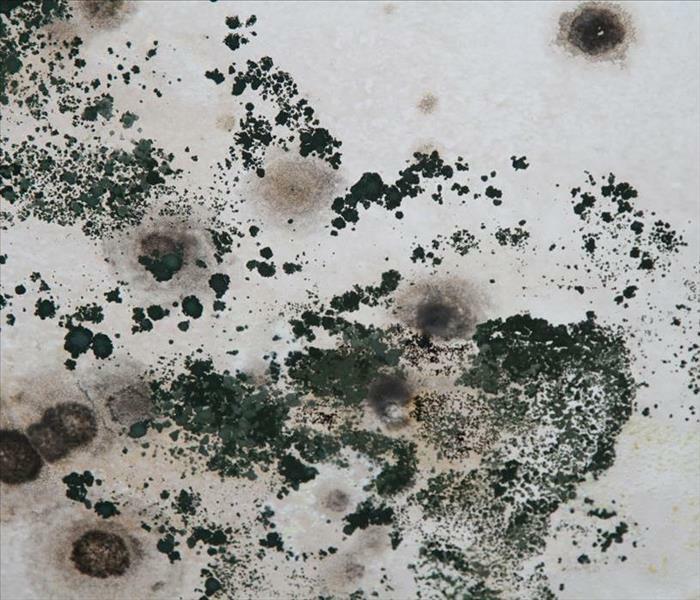 This means that mold growth can occur in many places in a building, even the fridge! Many of us know mold thrives in moist areas, preferable in places with a relative humidity of 70%. Areas in homes where water can gather or pool will provide an even better place for mold growth. Animals are generally curious beings and have a tendency sometimes to explore household items, such as a lit candle, that can put both them and your family in danger. Be sure to put out all candles if you will not be nearby. It is important to remove or cover stove knobs that pets could potentially turn on while you are out of the house. As discussed above, candles can be a dangerous item to have lit when pets are around. Investing in flameless candles can be a much safer option and save you from worrying about blowing out candles before leaving a room. Puppies and kittens are some of the most curious animals when they are babies so take extra precautions if you have a young pet to avoid potential dangers. If you have a pet, you know the amount of unconditional love you have for them. Here are some precautions you can take to ensure your pet is safe if an emergency does occur. Winter Storm Harper is predicted to pile on snow and ice from Friday well into the weekend to areas that have, up until now, only experienced some mild winter weather, according to Weather.com. Winter Storm Harper’s trajectory is still uncertain at this point, however, predictions have the storm moving through the central states and into the Northeast, bringing heavy snow to the Plains, New England, Pennsylvania and New York State in particular. There will also be a small, weak weather system on Wednesday that will bring some rain and light snow to the Midwest and Northwest, according to Weather.com. But after this system clears, Winter Storm Harper will bring much more extreme conditions. On Thursday, Harper will bring snow into the Rockies, Sierras and Cascades, then spread into the Northern Plains by nighttime. On Friday, the Rockies will continue to have snow, but so will the Plains — possibly even escalating to blizzard conditions. By Friday night, the lower Great Lakes, Kansas, parts of Oklahoma and the Texas Panhandle may see some snow, or possibly a snow/rain mix, Weather.com reported. Sleet and freezing rain should be expected for northern Missouri and southern Illinois. On Saturday, the Northeast gets its fair share of the storm. Heavy snow will be falling in some areas of the Plains still, plus the Midwest and Northeast. People in the Midwest should hunker down for possible blizzard conditions, as strong winds may also be present, said Weather.com. Be sure to keep an eye on your local weather to ensure a safe weekend! This January, the American Red Cross celebrates National Blood Donor Month and recognizes the lifesaving contribution of blood and platelet donors. As we begin the New Year, the Red Cross encourages individuals to resolve to roll up a sleeve to give this month and throughout 2018. National Blood Donor Month has been observed in January since 1970 with the goal of increasing blood and platelet donations during winter – one of the most difficult times of year to collect enough blood products to meet patient needs. During the winter months, inclement weather often results in cancelled blood drives, and seasonal illnesses like the flu may cause some donors to become temporarily unable to donate. Blood donation appointments can be made by downloading the American Red Cross Blood Donor App, visiting redcrossblood.org or calling 1-800-RED CROSS (1-800-733-2767) to make an appointment or to receive more information. All blood types are needed to ensure a reliable supply for patients. Founded in 1950, Associated Builders and Contractors (ABC) is a national construction industry trade association which represents almost 21,000 chapter members. The goal of ABC is to help its chapter members develop, win work and deliver said work in a safe and ethical manner that creates profit for all parties involved. ABC works hard to better the communities in which they and their members live and work. ABC’s primary activities include but are not limited to; government representation, legal advocacy, education, workforce development, communications, technology, and business development. ABC offers endless opportunities for its members to develop professionally, network and get involved through various committees and events. SERVPRO of Doylestown saw the benefit in joining such a prestigious association and garnered excitement among a few other SERVPRO affiliates and collectively joined as a group. We have representatives from SERVPRO who are apart of the workforce development committee as well as the young professionals committee. We take advantage of utilizing ABC East’s beautiful facilities to host our meetings and in the future, continuing education classes. The ABC Easter PA Chapter, of which we are a part of, represents more than 14,000 construction employees who work for more than 450 member companies. SERVPRO saw this as an excellent opportunity to partner with ABC East and offer our Emergency Ready Profiles, free-of-charge, to the many members and businesses. National Law Enforcement Appreciation Day! Tomorrow, January 9th is National Law Enforcement Appreciation Day! We, at SERVPRO value all of our first responders and look forward to celebrating them tomorrow. National Law Enforcement Appreciation Day was founded in 2015 to thank officers across the country for all the daily sacrifices they make for their communities. Concerns of Police Survivors, the FBI National Academy Associates, the Fraternal Order of Police, the International Association of Chief of Police, the Officer Down Memorial Page, Law Enforcement United, the National Law Enforcement Officers Memorial Fund, International Conference of Police Chaplains, National Troopers Coalition only name a few of the long list of organizations supporting inaugural day of National Law Enforcement Officers Appreciation Day. Since then, nationwide many more organizations have joined forces to support National Law Enforcement Appreciation Day (L.E.A.D.) to spread encouragement and respect to these dedicated men and women. Wear blue clothing in support of law enforcement. Participate in Project Blue Light - Proudly display your blue light in support of law enforcement. Organize an event or a rally in support of your law enforcement officers. Advertise your support through local media outlets/billboards. Mold, Mold & More Mold! No, that is not an exaggeration. Spores of mold are microscopic entities floating in the air which can enter your home or business through a cracked window, open door, AC/heating systems and possibly on your pet. These facts are not meant to scare you. Not all molds are dangerous and it is important to understand that mold can be present without causing harm. Mold remediation is useful for those who are prone to allergies or when discovered in a heavily populated building such as a school. There are, however, certain types of mold that must be removed immediately. Toxic Black Mold also emits an indistinguishable, fowl smell that will lead you right to its location. Due to the potential dangers toxic black mold poses, it is important to begin the remediation process quickly. SERVPRO follows a strict process to effectively remove mold from an affected area. HEPA processes -used to remove mold/mold spores, clean and seal. For more about our mold remediation process and about mold in general, visit our mold page. How does the cleaning work? It's all about bubbles!! According to Morantz, "These bubbles are created by sound waves as those waves move more water. This is known as Cavitation." Cavitation is the formation of bubbles in water. With the Cavitation process, the bubbles collapse which happens a million times per second (AKA A LOT). This heat & pressure is what gives the machines such cleaning power. We want to make sure your belongings are properly taken care of, so we want to make your time of stress as painless as possible. It's as easy as letting your Lead Crew Chief know you want items cleaned! If you want anything cleaned, call us at (215)-348-7755! Do you ever stop to wonder who has to clean up the scene after a chemical spill or a death/suicide accident? If not, you are probably like most and lucky enough to not have needed to consider this type of work. However, if you fall into the other category, you know very well that a hazardous scene must be left to the professionals to clean. Blood borne pathogens, disease, risk of infection and chemical burns are a just a few items to consider when dealing with a biohazard clean-up. Luckily, our team is highly trained and well prepared to protect both themselves and you from any potential harm. Our team also fully understands that these situations are often extremely difficult and sensitive times in a person's life and therefore demonstrate compassion and empathy while completing the work in a timely fashion. For more information on biohazard clean-up's, please check out the BIO/Hazmat section of our website. 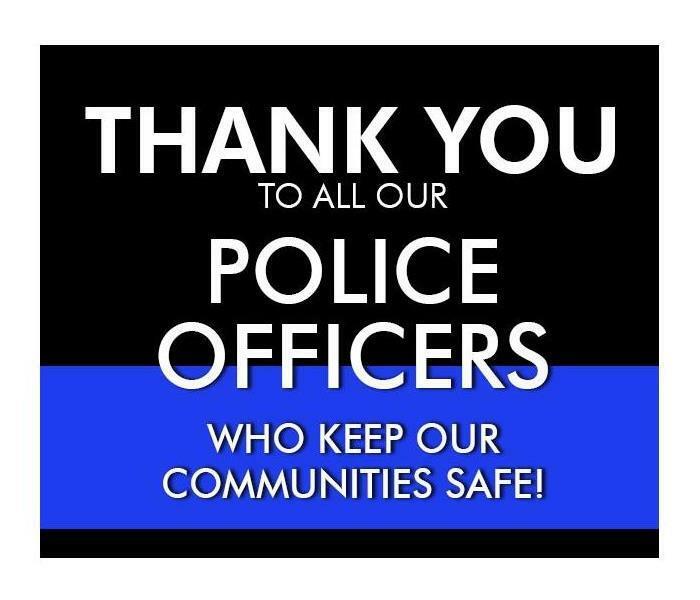 1/8/2019 - National Law Enforcement Appreciation Day! 1/8/2019 - Mold, Mold & More Mold!